The Canadian Geotechnical Society uses a secure, online system to manage membership information and payment options for new and renewing members. The password protected system allows users to create a CGS member account, pay annual membership fees and to update contact and other information. 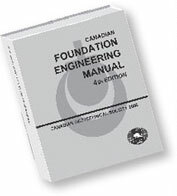 All information provided to the Canadian Geotechnical Society is used strictly for CGS purposes - your contact and other personal information is never provided to external organizations. To create a CGS account, you will be asked to provide basic personal information, contact information and to create a username and password to access the CGS's Member Section. Click here to create a new CGS Member Account. Click here for current CGS membership fees. Click here to login if you already have a CGS Member Account (a member or former member). If you are not sure if you have a CGS Member Account, email cgs@cgs.ca or telephone 604 241 1297 or toll free 1 800 710 9867. Should you not wish to, or be unable to, join/renew on line, click here to download the 2019 Membership Form and return it to the CGS National Office at cgs@cgs.ca or 8828 Pigott Rd, Richmond BC, V7A 2C4 Canada.